The start to the New Year has been a positive one for junior gold explorer Kairos Minerals (ASX:KAI), on the back of strong drilling results at Mt York published in late December 2017. According to KAI’s latest announcement, lab results from its Croydon Project have confirmed the presence of widespread gold. Following geochemical testing, KAI has reported that its latest cyanide leaching samples returned 196ppb gold, while an aqua regia result (from the -2mm fraction) returned in excess of 2000ppb Au repeat 7,650 ppm gold (7.65 grams per tonne). It should be remembered here, that this is an early stage play and as such any investment decision should be made with caution and professional financial advice should be sought. 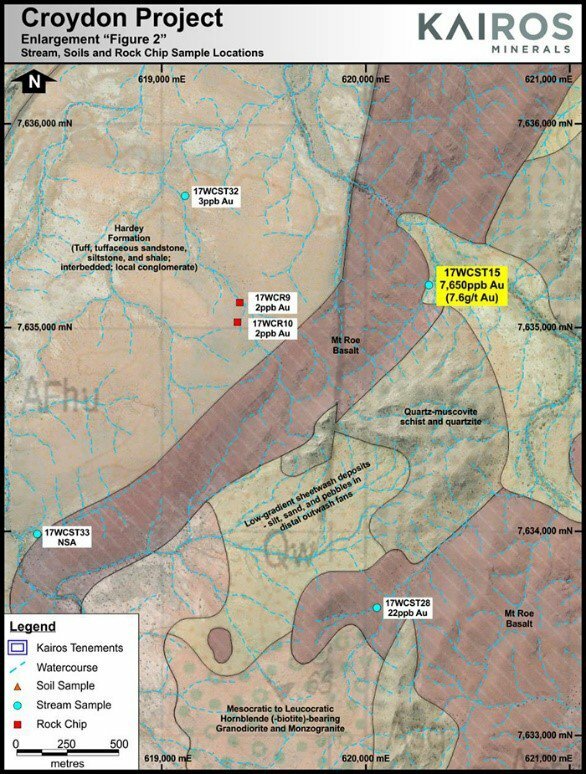 The stream sediment samples were collected from a small creek system located between the Mount Roe Basalt and the Archaean granitic basement. The creek has a drainage length of approximately 650 metres which was inspected from the air during the helicopter-assisted sampling programme in late 2017. At the time, there was no obvious conglomerate or sedimentary material observed. In addition, KAI is also making progress elsewhere on its land tenure. Rock chip samples taken from The Hardey Formation “all returned significant gold anomalism ranging between 43ppb Au and 202ppb Au” according to a KAI market update. The geochemical results published today highlight the presence of auriferous conglomerates in the Hardey Formation, therefore providing a second drill target within KAI’s tenement package. Taking these latest geochemical results into consideration, KAI is expected to move into further detailed exploration, thereby creating new target horizons within KAI’s project area. 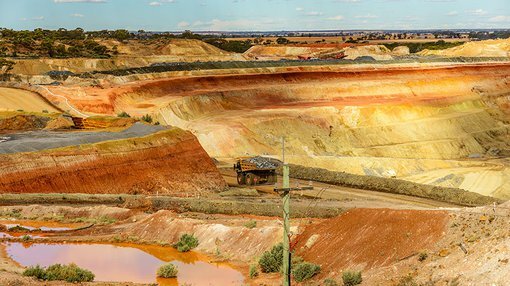 According to KAI Executive Chairman, Terry Topping, the company’s work in WA has been methodical and is “truly paying dividends with the achievement of what I consider to be outstanding results from the regional geochemistry program”. “The sampling program has demonstrated that the majority (if not all) of the target horizon on our tenements remain prospective for conglomerate-hosted gold — which is an exciting development for the project,” he said. KAI intends to further escalate its exploration activities over the coming months via additional field exploration, rock chip sampling, regional mapping and further geochemical surveys.